Since the 1970s, there have been on average 160,000 new homes each year in England. The consensus is that we need 300,000 more homes per year to keep up with population growth and start to tackle years of under-supply. Greater demand has brought with it a greater focus on quality and standards by government. An effective system of Building Regulations and building control should ensure that homes are built to good quality standards, are safe, highly energy efficient, sustainable, accessible and secure. 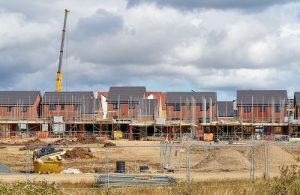 The All Party Parliamentary Group for Excellence in the Built Environment has looked into the quality and workmanship of new build housing in England and are reviewing requirements to ensure that they remain fit for purpose and meet future needs. This includes looking at further opportunities for simplification and rationalisation while maintaining standards. In a recent quality review by the NHBC, Cavity Wall Insulation was one of the top five problem areas out of the thirty six build phases, with the NHBC suggesting that house builders should introduce post installation thermal imaging as a means of checking quality of installations. With this focus on standards of new build, CIGA recognises that the new guarantee is well placed in providing assurance to developers, contractors and ultimately householders. By being a CIGA member you will have immediate access enabling you to apply for New Build Guarantees. The New Build Guarantee will not only give the housebuilder assurance that the work has been carried out correctly but will also give confidence to the householder in that they have 25 year protection an additional advantage when selling a property. What will the technical requirements be? The guarantee will be for a period of 25 years from the day of installation at a cost of £35 + VAT. This will include surveillance of assessment requirements charged separately at £10 of the cost. Why should I increase my cost when my competitors won’t? CIGA believe that to offer the new build guarantee now will provide a significant competitive advantage in the future. Talks are ongoing with the Home Builders Federation and Building Warranty providers with a view to seeking their endorsement and buy in from the nine major house builders. With the increased scrutiny on the quality new homes by Government and the ongoing review of building regulations early adoption of this product will greatly improve confidence in Cavity Wall Insulation as a preferable measure to built in solutions.